Farrar, Straus and Giroux, 9780374279981, 400pp. 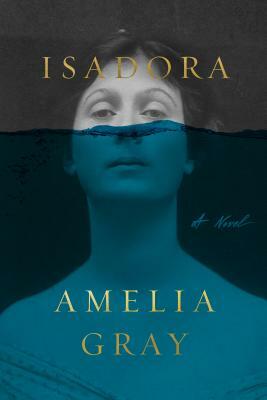 Using the scaffolding of Isadora Duncan’s life and the stuff of her spirit, Amelia Gray’s breakout novel delivers an incredibly imaginative portrait of the artist, resulting in “a stunning meditation on art and grief by one of America’s most exciting young authors” (NPR). As dynamic, enthralling, and powerful as the visionary artist it captures, Amelia Gray’s Isadora is a relentless and living portrayal of a woman who shattered convention, even in the darkest days of her life. In 1913, Isadora Duncan was known as much for her stunning dance performances as for her eccentric and salacious personal life — her lovers included poets, directors, and the heir to the Singer sewing machine fortune. But when her two children drowned in Paris, she found herself taking on a role she had never dreamed of. The tragedy brought the gossips out in full force, and the grieving mother wanted nothing more than to escape it all. Fleeing the very life she had worked so hard to build, she left her sister, Elizabeth, holding the reins of the artistic empire along with Elizabeth’s lover, Max, who had his own ideas for greatness. For two years Isadora cast about prewar Europe, living on credit on islands in Greece and in shuttered beachfront dwellings in Italy. She lashed out at her dearest lovers and friends, the very people who held her up. But life had cracked her spirit in two: on one side, the brilliant young talent who captivated audiences the world over; on the other, a heartbroken mother spinning dangerously on the edge of sanity. Amelia Gray is the author of several books, including AM/PM, Museum of the Weird, THREATS, and Gutshot. Her fiction and essays have appeared in The New Yorker, The New York Times, The Wall Street Journal, Tin House, and VICE. She has been a finalist for the PEN/Faulkner Award for Fiction and for the New York Public Library Young Lions Fiction Award, and is the winner of the FC2 Ronald Sukenick Innovative Fiction Contest. She lives in Los Angeles.